It’s been a while, as I remember, since the last time I woke up in the middle of the night only for a reason: to learn. And today, I do this again because tomorrow I have to present a presentation as a simulation before I face my test next month. 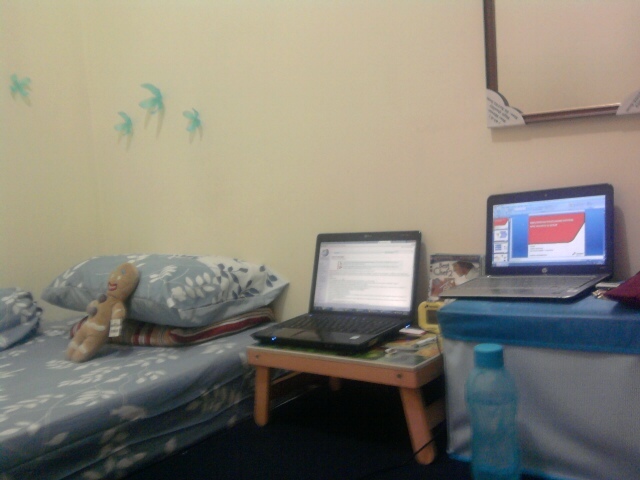 When I was in college, learning means there are a lot of papers strewn on both of my table and bed. 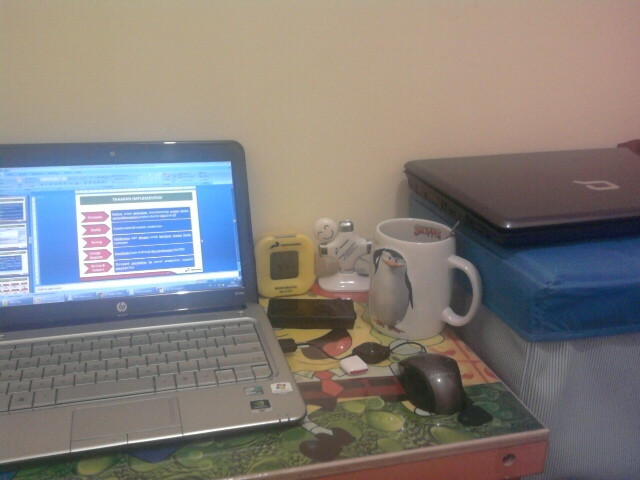 But nowadays, this is a capture of things that lie on my small table..
And what’s on my bed? Sebastian only :p.
Have a nice day all :*.